Note: All those stocks that I recommended yesterday are up today by more than 3%. If you are making reasonable profits on the Bull Put Credit Spread please close the position and exit. 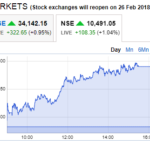 The Sensex crashed 1624.51 points, -5.94% below the previous close to end the day at 25741.56. Nifty shed 490.95 points, -5.92% below to close at 7809 after hitting an intraday low of 7769.40. CNX Midcap was down 9.6 percent and the S&P Smallcap index closed down by 8.8 percent. INDIA VIX was up 28.13 from 17.12 from previous close – that is an increase of 64.31%. HUGE. Just selling was not the major reason. Stop losses got executed. And another major reason was unwinding of positions created by traders using borrowed money. In other words traders who didn’t have their own cash to trade were pressing the panic buttons. That is why its is very important that you only trade with your money and also with that money which you do not need for at least next 3-4 years. And why it all happened? It was because of concerns of a deepening China slowdown. This is clear case of markets over reacting all over the world. These are rare happenings though. It happens once in 3-4 years – but it can be devastating for a trader who does naked trades. Especially Future trading or options selling without hedge. Imagine a traders taking a buy call of Future on two lots on Friday. His losses stands at 490*25*2 = 24,500/-. That’s huge. And I can surely say this, if a trader sold Future 2 lots – he might have exited in 10,000 profit. Retail traders take losses more than profits, and so over time they lose money. Yesterday a 65 year old trader called me for help – he was losing a lot of money on naked options selling. Things like this MUST be avoided. Please do not get old losing money in stock markets. Its not fun really. I hope this mayhem teaches you the importance of hedging. This one day blow can take away months of profits. That is why for every trade insurance is very important. This one is guaranteed – one day disaster will strike, we don’t know when, but we should be prepared for it always. 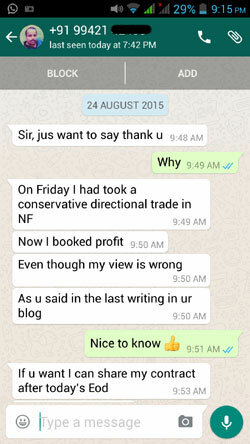 By the way traders who took the directional strategy in my course and especially those who were on a “Buy Future” trade in Nifty made huge profits yesterday, though they were horribly wrong in their Future call. 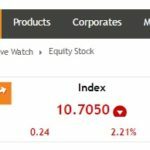 Yes you read that right – a 6% loss in Future in one day can bring fantastic returns in this trade. The profits from options will far exceed the losses in Futures. If you are correct, you still make money. You should learn such hedging strategies. This will help you for life. Important note for traders who have taken my course: Practice this on stocks – imagine a Future buy on stock and the stock falling 50% next day – in one day you will be laughing all the way to the banks. I get a lot of calls from my paid subscribers asking why should they hedge as the non-directional strategy makes almost the double like 6% in a month without hedge. I always tell them, time will one day tell why hedging is important. If you really want to prolong your trading career do not forget to hedge. Yesterday that time came. Those who had hedged took a small loss and exited their positions. Those who didn’t lost last 3 months of trading profits. Since the last 3-4 months the money we used to buy hedges was getting wasted. However today the insurance did its job. People who have taken my course reported losses from 0.8% to almost 3%. Imagine – days like yesterday come after a lot of years. In fact since I started this service – yesterday was the worst day ever. The trade still made an average loss of 1.5% from all customers. A person who does not hedge will make something like 5%, 6%, 4%, 3%, -21% = -3%. As you can see over a few trades the person who hedges will be in profit while the one who does not hedge will be in loss. That’s the reason why I emphasize on hedging. Overnight stop loss DO NOT work. And you will have sleepless nights. That is not the correct way to trade. All our trades in the course are positional trades. Therefore we hedge and play very safe. By hedging you stop a huge losses for ever. So that at least now you start learning the benefits of hedging and get out of this mindset of taking all or losing all. Its about making reasonable profits at the end of the year, its not about trying to make 1 lakh every month, but actually losing money. If you still think my course has value and teaches you great hedging and strategies do it now, do not waste time. Else if you think it is not worth – its ok learn from some other source. But the point is learn good hedging techniques. Anyone who lost a lot of money yesterday? Siddharth, I have subscribed your email. Please check an email from me. Hope you can follow my posts now. Also make sure to white-list my email. By chance it goes into SPAM folder of Yahoo, then just click on NOT SPAM and add to your address book. Thats it. I came across your site now and find it very informative. I have registered my email for your tutorial and ebook.Awaiting it. I am a retail investor mainly in future and started options today, in a low scale. Thanks I have sent you an email.